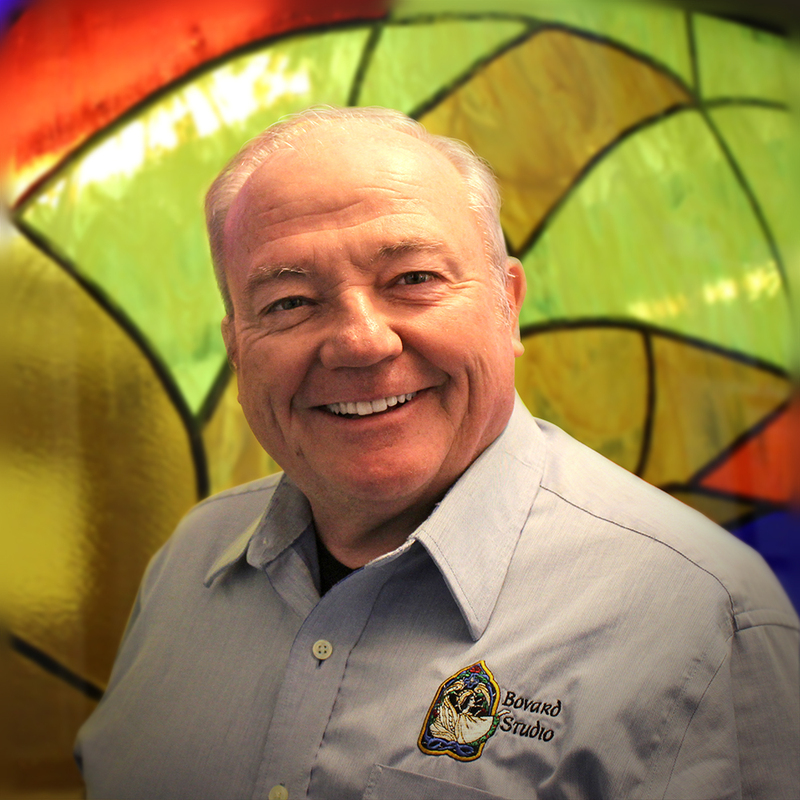 Bovard Studio Stained Glass Management Team Member Page — Bovard Studio, Inc.
Bovard Studio had its beginning in 1971 with founder Ron Bovard working as an independent artist. Since an exhibit at the Carnegie Museum in 1972, Bovard has exhibited his art in galleries and museums around the world, including more than 25 one-man shows in places such as New York City and Vienna, Austria. From this modest beginning by the year 2000, the studio had expanded to over 50 artists, craftspeople and staff who complete over 100 church projects per year, as well as projects in courthouses, libraries, colleges and other public and private buildings. We have attracted many of the finest artists and craftspeople from around the world. Working in both traditional and contemporary styles, Bovard artists have won many awards and honors. Each year we complete over 100 projects for clients at churches, museums, public buildings, libraries and military bases. Our field restoration and installation field crew.